Set in over 3000 acres of open savannah grassland, Antelope Park is a unique game reserve and proud to have been chosen one of Southern Africa�s �most intriguing destinations�. Walking with lions, riding through the wilderness on elephant or horseback, view the abundance of wildlife or canoe on the scenic lake During the evening, our exclusive night-encounters offer a truly amazing, close up experience of lions hunting in their natural environment. 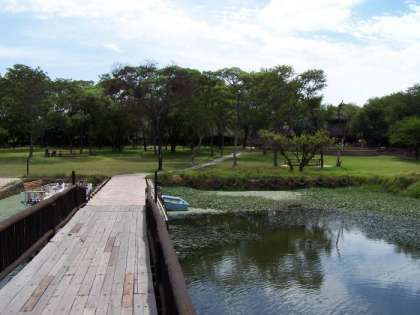 We have an array of en-suite lodges and river tents, campsites and beautiful self catering lodges. To further complement the experience, safari style, home cooked meals are available.